Laser Engraved Mirror Polished Storefront Stainless Steel Sign Panel. There is nothing more impressive than real metal signs, they show prestige and make your venue look upscale. 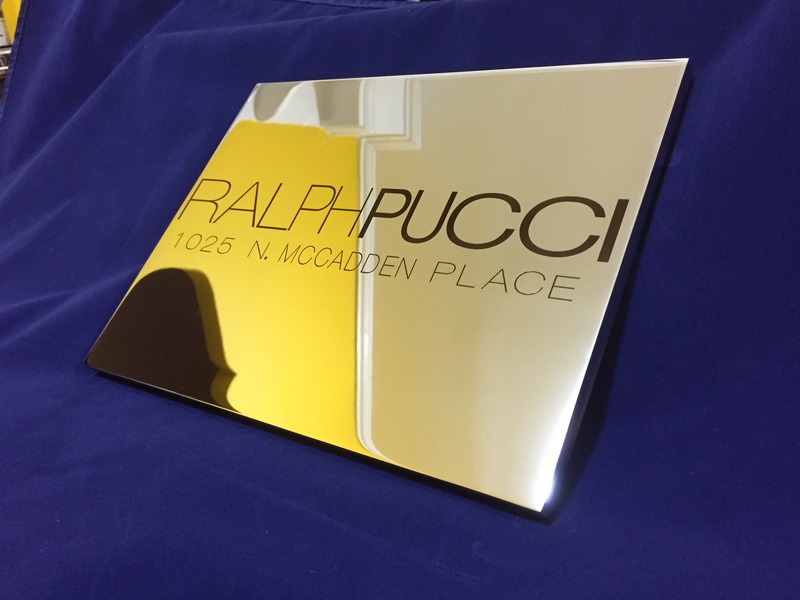 Project shown is ½” deep polished stainless steel that looks like perfect mirror with fiber laser engraved store name. This block will be mounted as a building name on a street level. Projects includes laser cutting metal and laser engraving.